What's the Difference Between . . . 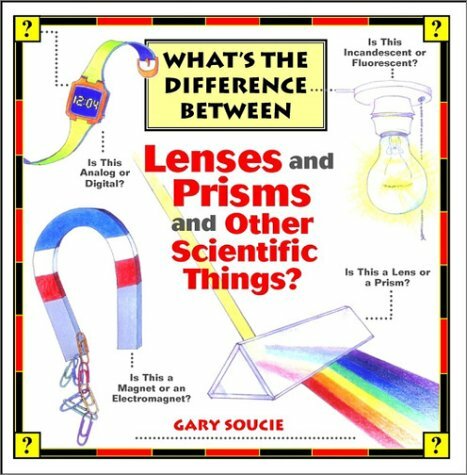 Lenses and Prisms and Other Scientific Things? What's heavier, a ton of feathers or a tonne of bricks? When is a fluid not a liquid? Isn't a motor the same as an engine? Does your favorite rock band make sound or noise? Don't know the answers? Don't worry! If you can't tell fission from fusion, radar from sonar, or RAM from ROM, you're not alone. Lots of people confuse scientific and technological ideas, objects, and processes. 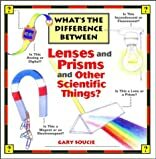 Now, well-known science and nature writer Gary Soucie helps you understand the differences. Learn the distinctions between mass and weight and between atoms and molecules. Explore everyday differences between soap and detergent, and batteries and dry cells. Helpful illustrations and fun facts cover everything from what coins are made of to why laundry detergents might make your clothes glow under ultraviolet light. So, if you think cement and concrete are the same thing, if you don't understand how jets are different from rockets, just read this book. You'll enjoy it!